Having fought for victory and an almost certain podium, Mitch Evans couldn’t contain his disappointment in crossing the line ninth after wasting too much energy in the fight for the lead. 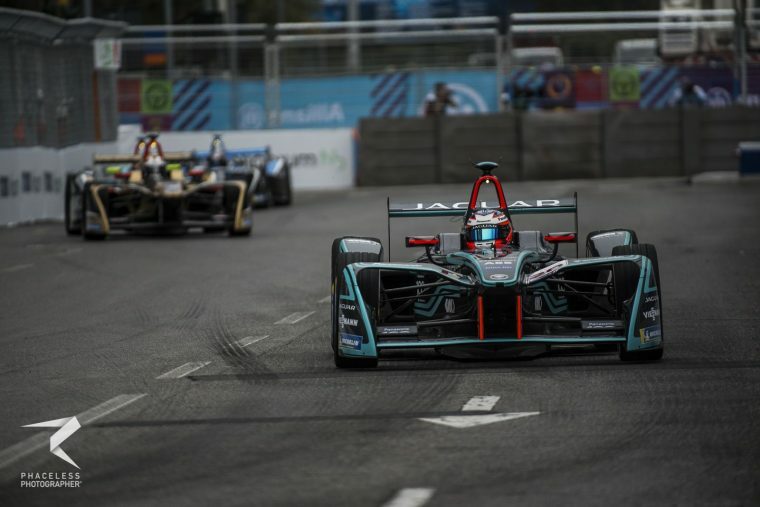 Evans had qualified his Panasonic Jaguar Racing machine third on the grid and hoped to mount a challenge from the front, something which he hadn’t been able to do yet due to a raft of issues in qualifying at previous events. The Kiwi was promoted to second place after the retirement of pole sitter Felix Rosenqvist and set about close in on new reace leader Sam Bird, closing in by a second a lap after supreme energy management in the first stint. 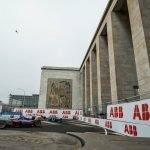 With Lucas di Grassi also homing in on the leading duo, Evans chose to make his move for the lead but was covered off by Bird and as a result started using too much energy and had to majorly back off on the final lap to ensure he made the chequered flag. “The first full course yellow in the second stint neutralised the race a little bit, that definitely helped the guys who went a lap short, then after that I was catching Sam [Bird] and using a bit of energy to catch him,” explained the 23-year-old. “I was in a great position as I had a lot more energy than him going a lap longer, but the second full course yellow destroyed it. After a lap under full course yellow you save so much energy and it neutralised the race as the targets go up, coasting periods are shorter and the race is a lot faster. Trying to get by after that is a lot more difficult. 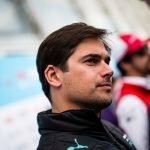 “Anyway, he made a mistake and that was my opportunity, but it ultimately destroying it as I was very high on consumption that lap, if I had gone by I would have been fine but he defended well and that was nice work from his side. The next lap was super high again and that spiralled everything out of control and I couldn’t really recover. It was a very rollercoaster race, when you’re so good on energy but then can hardly make it to the finish line. Despite the disappointment of missing on a potential first Formula E victory, Evans is remaining optimistic for the rest of the season with the knowledge that he can fight at the front. “It feels good, we’ve known we’ve had the speed and haven’t been able to show it at the front, but we easily could have had champagne today. I just wanna apologise to the team for that, but it gives us confidence going into the rest of the season, we know we can fight for wins and podiums. It will come, we learn a lot from these sorts of races and we’ll come back stronger.